As part of Stockholm Art week, I was on a mission to explore what the Scandinavian art scene had to offer. 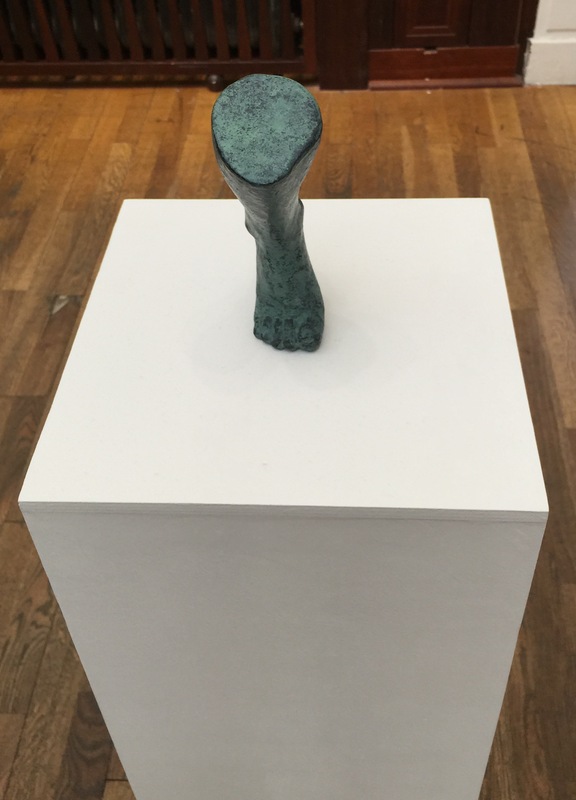 As a result, I decided to visit a couple of art fairs which was a mixture of both Scandinavian art and international contemporary art to explore a wide spectrum of art within a short space of time and locality. First stop was Market Art Fair, which is a gallery led contemporary art fair of the Nordic region with representations from leading galleries in Sweden, Norway, Denmark, Iceland and Finland. 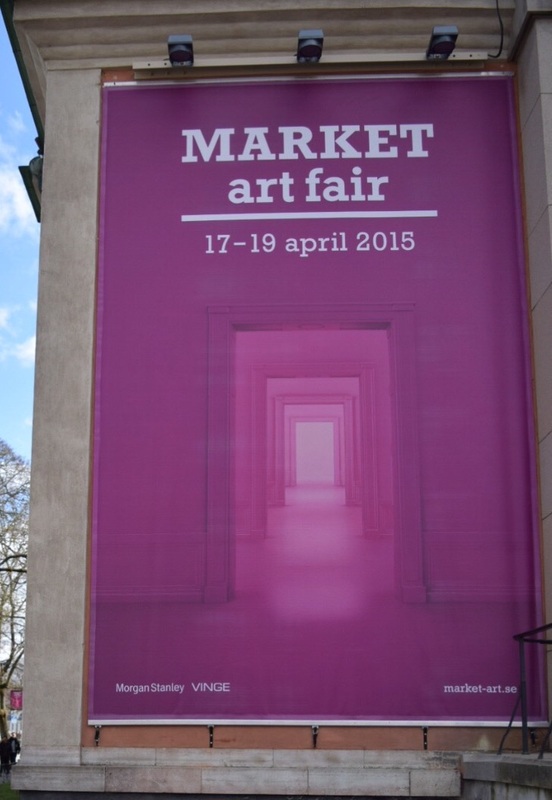 Market is known to be a major art event for the growing Nordic and international contemporary art scene. In its 10th edition, the fair took place at Liljevalchs, Djurgården in Stockholm, near the Abba museum, which is worth visiting. There were 35 carefully selected galleries representing and showcasing the works of both established and emerging artists from the International art scene. As I approached the venue I was welcomed by these gigantic sculptures. I found a mini version of the foot sculpture inside the fair. 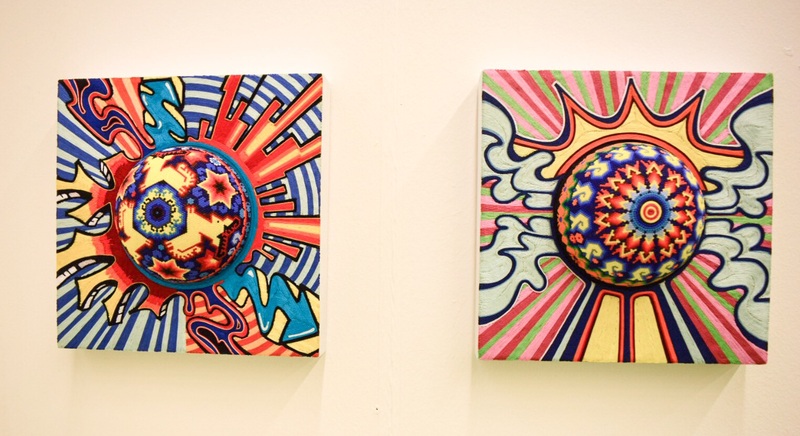 Here are some interesting works exhibited. The artworks were of a good standard and there was a variation of style and technique. The realism artworks were very detailed and impressive. However, I must say, I was underwhelmed by the whole fair, nothing particularly jumped out to grab my attention. The fair lacked oomph in comparison to other international fairs I’ve attended. These pieces demonstrated the detailed works of talented artists with great imagination. On to my next fair, hoping for more exciting artworks. The SUPERMARKET Art Fair is an artist led international art fair with an objective to showcase artists’ initiatives from all over the world and to create opportunities for new networks in Sweden, as well as the international art scene. The Art fair truly lived up to its international goal. I met artist from Tanzania, Mexico, Egypt, Canada, Belgium and many more countries. There was a good mix of performing and visual arts. A lot of interesting installations and 3 dimensional pieces were also exhibited. The exhibitors are generally from not-for-profit organisations. In addition to the exhibition, the event included seminar programmes and networking opportunities. The fair challenges the status quo in the art world through its Talk and seminar discussions with both participants from the Swedish and international art scene. In this year’s edition of SUPERMARKET it focuses on the structures in the art world. Through the theme ”Invisibility – who represents who?” The fair takes a closer look at the conditions in which different actors operate in the contemporary art scene. Such topics of discussions include Why don’t art colleges reflect today’s multicultural society? How do the concepts of ”fine art” and ”contemporary art” differ between the West and the rest of the world? SUPERMARKET has been running in its present state annually since 2007. 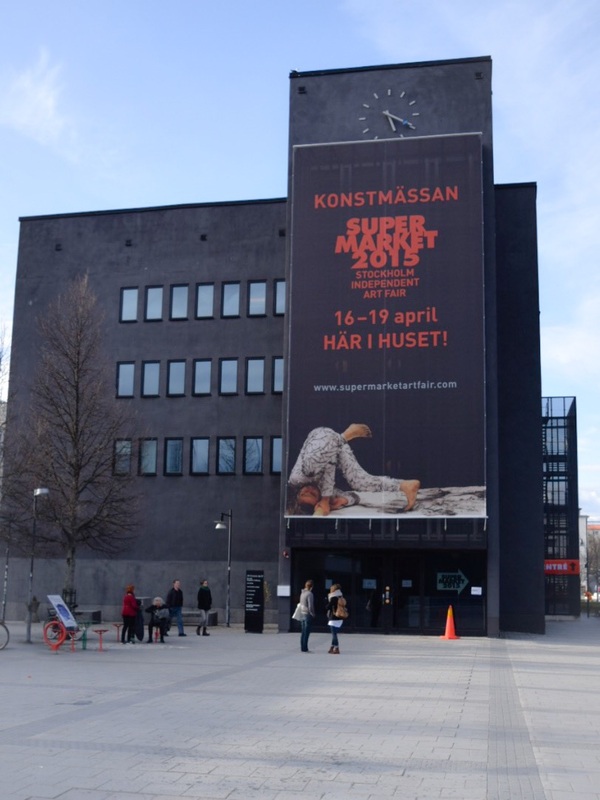 It provides an alternative to the gallery led fairs and is well known within the Scandinavian countries, Europe and is gaining international recognition in the contemporary art world. Here are some of my highlights from the fair. Interesting installations, a mixture of 2 dimensional and 3 dimensional works below. These beaded and glass skulls by Atena Estudio caught my attention. The workmanship and creative concept is simple, but in your face. There was a variation of performance art which kept the crowd entertained and made for a lively atmosphere. Following on with the food theme, these toasters have been creatively revamped into artistic pieces, talk about reusability. Converting household goods into creative works. A range of works from Artellewa Art Space from Egypt were also exhibited, showing the diversity at the fair and international participants. I thought these hiking boots with spiky steels were very unique sculpture and was symbolic of the cold weather in the Scandinavian region. These works were presented by Galleria Sculptor from Finland. It was refreshing to see more works from Africa. Below are some of the works presented by artists invited to exhibit from Nafasi Art Space in Tanzania. The Comic art, puts a different spin on the traditional African art normally seen at exhibitions and fairs. It is interesting to see works showcasing different aspects of the day to day live in Africa. And Last, but not the least is my favourite piece from the art fair, for its originality and concept, presented by Various Artists(This is their name) from Brussels Belgium. The works was titled Bureau of Untitled, which involves the creation of an idea for a specific artist, which may become commercially viable. 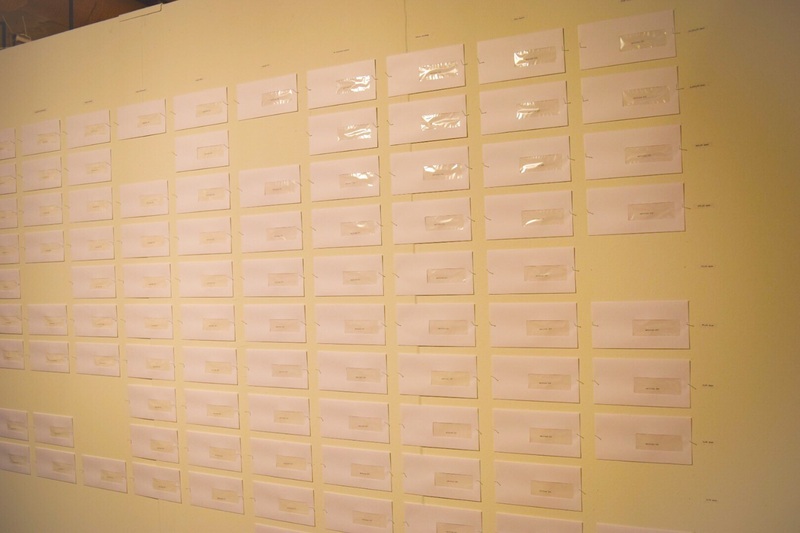 This idea was enclosed in an envelope and offered to specific artists for sale and visitors at the fair. This is what the stand looks like at the fair, which I thought was fascinating and wondered what was going on. I was immediately drawn to the stand. it was simple yet, captivating. Excuse the poor image, the lighting was not the best, but you get the idea. I had to buy a piece of this artistic creation. 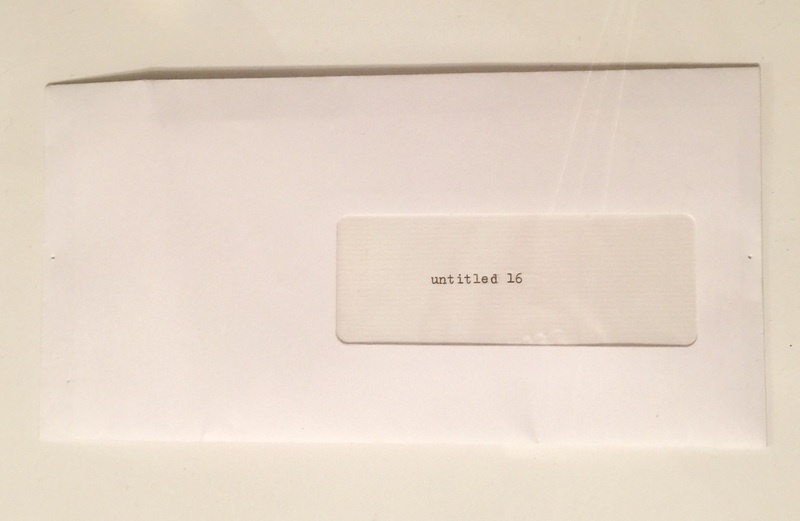 So I purchased Untitled 16, which was created for Koen Van Dan Broek. Now the question is. Should I open the envelope to reveal the idea or leave it in its current state and frame it? What do you think? Overall the SUPERMARKET art fair had a good mixture of art, some of which I found repulsive and aesthetically pleasing at the same time. The atmosphere was lively and there was a lot happenings, my senses were heighten in one form or another. That’s it for now. During my visit to Stockholm I stayed at the Radison Blue Viking Hotel. Look out for my blog post on my stay at this comfortable Hotel.